Recently, a terrific, unfunded not-for-profit cultural venture, came to a close that breathed life for a while into The Wool House (the former maritime museum near Town Quay) as a ‘pop-up’ arts space with the blessing of Southampton City Council. 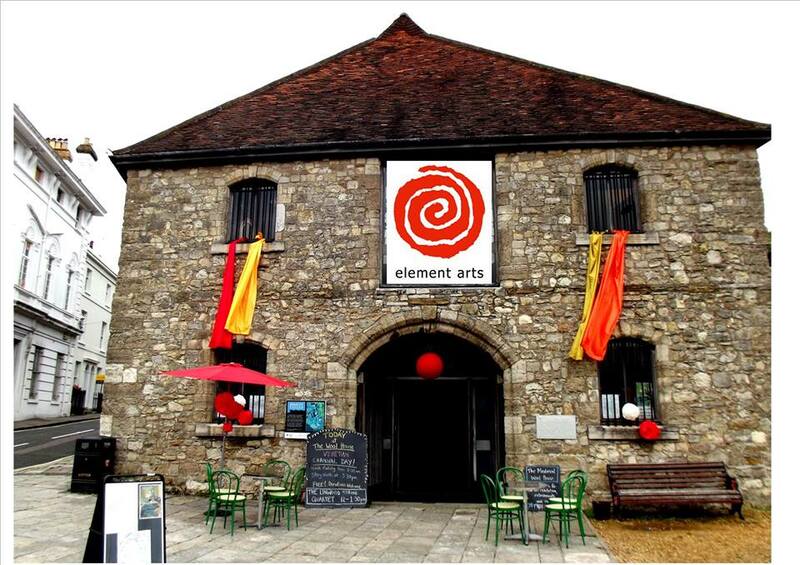 Element Arts opened the space to the public to host a variety of activities from live music to theatre and spoken word, from exhibitions to workshops, loosely based around the stories and heritage of this building since it was built in early 14th century. For any council, it is not just an act of generosity to make a vacant building available to a city’s creatives, it is an investment in the city’s vibrancy and the attractiveness of the place as somewhere to settle. The value of the arts to the well-being of a city’s population is quite clear, but what is often overlooked is the financial value of that well-being in terms of reduced costs to health services, fewer days lost at work due to stress and illness and increased productivity. One has to wonder why arts funding is often the first to be cut – the answer is, we suspect, that the popular perception in the media is that arts funding is, in fact, a waste of taxpayer’s money, so people will generally applaud you in hard times if you cut it. This being said, we would not like to be in the position of having to decide between cutting mental health services (for example) and maximising the financial potential of the city’s building assets to raise money. At the moment, a proposal has been put forward by The Platform Tavern and Dancing Man Brewery (a venue we think is splendid!) to lease the building and create a pub and micro-brewery at The Wool House. With the Platform’s established reputation for good music, great food and fab beers, this certainly doesn’t mean another generic boozer. There is talk of continuing to use the space for arty activities once the building is handed over. So, with careful co-operation and goodwill, the partnership of business, community and art may work out well for the city. Certainly, we have a lot of faith in the people themselves involved in this. Local independents and the arts have a history of knitting rather well in this city – just look at The Talking Heads, The Brook, The Bent Brief… to name but a few. On the other hand, one could argue that handing city assets to private interests is short term thinking when one considers the many benefits of community art mentioned above. What assets will remain available to community-based cultural organisations come the next financial meltdown? (something that is, sadly, inevitable given our dysfunctional money-supply mechanism.) How do we balance the commercial viability of art in a privately leased, commercial space – compared with what would happen in a voluntary, not-for-profit or publicly run, space? It’s a tightrope we ourselves walk every day – risky, edgy, but maybe not money-making art versus having to make a space work financially. The vitality that grassroots arts organisations brings to a city, by it’s nature, is very difficult to quantify, but it is widely accepted that for a city to be regarded as truly cultural, it needs the complete palette, right from the experimental, scruffy and bohemian, through to the fully-equipped arts complex (and everything in between) encouraging as many people as possible to explore their own innate creativity. If one neglects to accommodate grassroots artists (who generally have little money to spend on renting studio space or performance venues) you will have nothing to eventually feed into the larger concert halls, theatres and galleries. You are cutting off the spring that feeds the river, so you will always be importing your big name artists and performers from other cities or even from abroad. You can find out more about the Dancing Man Brewery’s plans for The Wool House here. There is currently a petition running being promoted by former users, residents and fans of the Woolhouse Project where you can find out more information. You can also take a look at Element Arts website here. This entry was posted in Community news & views. Bookmark the permalink. 2 Responses to The Power of Pop-Ups. We agree, the Plaform are a great place – hopefully a way will be found which works best for all concerned, it is a lovely space!